Intermec CN50 - Windows Mobile 6.1 WWE UMTS, 128MB RAM, 512MB ROM, GPS, Bluetooth, 802.11b/g, Digital Compass, EA21 2D Area Imager, 3.1 megapixel Color Camera, Numeric keypad and CDMA Verizon WWAN. Battery, charging and communications cradle, cables and power supply not included. See accessories. 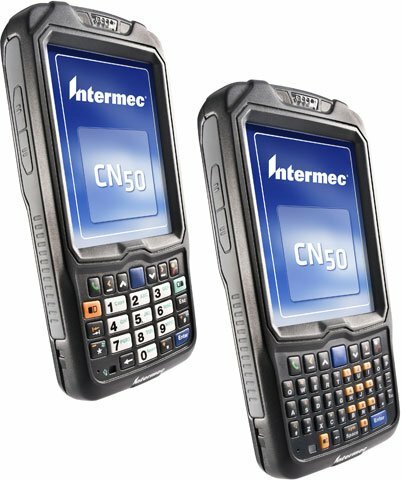 The Intermec CN50 is the only 3.75G wireless mobile computer that combines a small and light-weight form factor with a rugged design to deliver the most advanced, high performance voice and data communication solution specifically designed for the highly mobile field worker. With the class leading capabilities of the CN50 in their mobile workers' hands, enterprises can improve their business processes, expand their service offerings and reduce the cost and complexity of a field mobility solution. As the first device in the industry to offer a 3.75G wireless WAN Flexible Network Radio, the CN50 allows enterprises to finally standardize on a single hardware platform that can be configured for either CDMA or UMTS wireless networks. This gives enterprises the flexibility to choose the network that provides the best geographic coverage and the lowest cost. CN50 Series USB Starter Kit. Includes everything you need to run your CN50: charging/communications cradle, USB cable, US power supply and AC line cord. 4-Slot Cahrge Only DOck, CN50/CN51. Power supply and line cord sold separately. 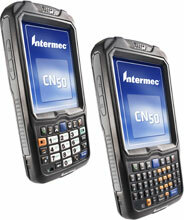 The Intermec CN50ANC6EN00 is also known as Intermec Technologies	INT-CN50A04	.